Bolivian President Evo Morales has renewed his efforts to build a controversial highway through the heart of the Isiboro Sécure National Park and Indigenous Territory (TIPNIS), a forested park that is home to over 12,000 indigenous people. The central segment of the highway would bisect the territory and accelerate already high rates of deforestation. Protests spearheaded by the Confederation of Indigenous Peoples of Bolivia (CIDOB) in 2011 and 2012 postponed its construction, while funding by the Brazilian Development Bank (BNDES) was withdrawn. The Bolivian government had previously said it would tackle extreme poverty in the territory before mounting any new effort to build the highway. While facing an election next year, Bolivian President Evo Morales is thinking about his legacy. As the strong front-runner in national politics, his governing party, the Movement Towards Socialism—Political Instrument for the Sovereignty of the Peoples, feels confident it will be in power for a long time to come. This self-confidence is driving the drafting of a 2025 Patriotic Agenda. Alongside the formal process, the president has spoken off the cuff of his desires for the future. And like any dreams, they provide an insight into the mind and orientation of the dreamer. In his oratory, Morales long seemed to equally embrace two visions: sovereignty through claiming natural resources for the nation and reorientation of society towards ecological harmony with Mother Earth. Now, however, he has discarded the Pachamama-centered rethinking of exploitation and dreams of technologies long criticized for their environmental destructiveness. Honor Brabazon and Jeffery Webber have just released a new research article on the state of agrarian reform in Bolivia under the government of Evo Morales. The paper, available as a pre-print from the Journal of Agrarian Change, offers a disconcerting look at the state of land redistribution six years after Morales signed a law promising community-led “redirection of the Agrarian Revolution.” The paper is compelling because it puts the experiences and views of the Bolivian Landless Peasants’ Movement (MST; the same initials as its better-known Brazilian counterpart) alongside hard data on the redistribution of land produced by the La Paz-based research unit Centro de Estudios para el Desarollo Laboral y Agrario (CEDLA). I’ve previously covered the most dramatic shift in Bolivian land tenure on this blog, the dramatic reordering of large swaths of land into “Native Community Lands,” (TCOs) collectively controlled indigenous territories throughout the country that now constitute nearly a fifth of the country. The same process of clarification of land title was promised to yield a revolution in the prospects of landless and near-landless peasants. The data presented and translated by Brabazon and Webber shows that promise was not to be. Brabazon and Webber provide a sobering conclusion: “The same social class that ruled over agricultural production in 2005 continues to rule today in 2012” (21). In honor of #NewResearchThursday / #NRTh, one attempt to increase the content to signal ratio on social media. What do two short-lived US secrets tell us about state secrecy? The United States Air Force has a drone base in Niger from which it flied unmanned aircraft into Mali to provide military intelligence for the French military involved in Mali’s civil war. The United States State Department orchestrated the denial of European countries’ airspace to the presidential plane of Evo Morales on July 2. These are now former secrets, documented in the mainstream press of the United States. Neither lasted very long. Surely the Malian rebels saw drones flying above them and guessed the US military was taking sides against them. And even more surely, Evo Morales knew that the US was behind his plane’s emergency diversion to Vienna. Yet these acts were classified; the US role in blocking the Bolivian presidential plane was publicly denied. What can we learn about United States state secrecy from them? This is a time of highly controversial disclosures of government secrets. It’s also a time of unprecedented classification of government documents as secret: a US government audit found 3,507,782 people hold security clearance to access Confidential/Secret documents, and 1,409,969 hold Top Secret security clearances as of October 2012. In Fiscal Year 2012, the US government classified 95,180,243 documents, declaring 23 million of them top secret (ISOO annual report). The government spends $8 to $12 billion per year on keeping these documents secret. Within this mountain of so-called secrets live millions of banal pieces of data: personnel files of agency employees, details of weapons systems, operational details of military deployments. While it’s reasonable to debate how much of this material truly needs to be secured in this way, that’s not the material people are willing to risk their freedom to bring to the world. Instead, the real state secrets are government actions that are carried out covertly. Recently whistleblowers have shown us that the military kept records of killed civilians in the Iraq War, that the US illegally spies on diplomats at the United Nations, that the United Kingdom violated the Land Mine Ban treaty, that the US could document massive government corruption in Tunisia (helping to spark revolt there) and that the NSA spied on the electronic communication of people around the world [some of these revelations are described here]. Every day, diligent work by journalists exposes other secrets to the people whose governments try to keep them. 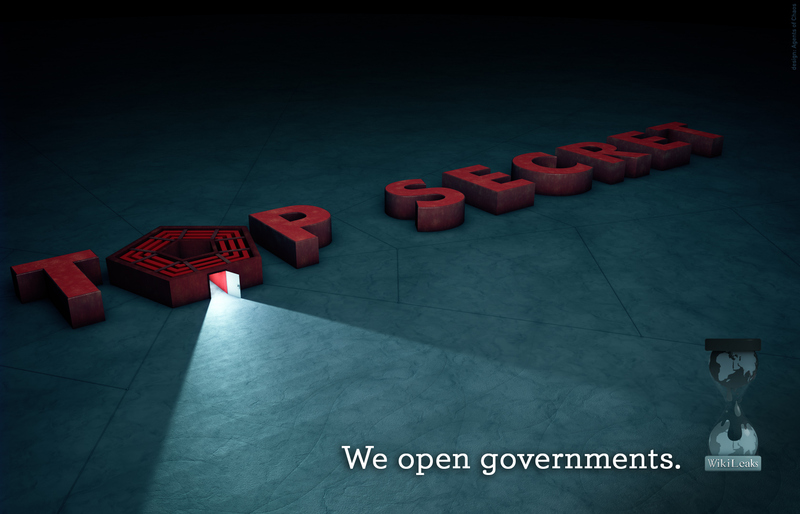 The only ones left in the dark by this policy of secrecy are the people of the United States. When the press asks questions about drones, US officials try to avoid the word, and give pseudo-answers like this one: “What the President indicated is we’re going to continue to provide the support that we’ve been investing in this operation. And what we’ve provided is, for instance, logistical support and other types of backing for those nations that are putting peacekeepers into Mali” (Deputy National Security Advisor for Strategic Communications Ben Rhodes, June 27). For four years, the Obama administration directed its press secretary to talk like this: “When I went through the process of becoming press secretary, one of the first things they told me was, ‘You’re not even to acknowledge the drone program. You’re not even to discuss that it exists'” (Robert Gibbs). In effect, the United States is supplying targeting information for a war in Mali, and actually killing people in half a dozen other countries, but refusing to talk about it. The case of the Morales plane diversion went beyond secrecy to lies. Days before the operation, President Obama responded to a question explicitly raising this possibility: “Mr. President, will you use U.S. military assets to in any way intercept Mr. Snowden should he at some point in the future leave Russia to try to find safe passage in another country?” The President’s answer was unequivocal: “No, I’m not going to be scrambling jets to get a 29-year-old hacker” (transcript). On July 2, Bolivian President Evo Morales’ plane was denied entry into French, Spanish, and Italian airspace and its landing to refuel in Portugal was cancelled. As reflected by the emergency gathering of the Union of South American Nations in response, this was a major violation of diplomatic protocol. It rapidly became clear that the diversion was the use of state power (backed by the possibility of force—i.e., the scrambling of jets) in an attempt to intercept Mr. Snowden. This narrative is not only the most plausible one, it is backed up by Austrian press reports that the country’s Foreign Office received a late-night call from US Ambassador Ambassador William Eacho alerting them to Snowden’s presence on President Morales’ plane. It is also suggested by the Spanish Foreign Minister José Manuel García-Margallo’s statement that “They told us that [Snowden] was onboard,” and further describing the source of the communication as a diplomatic secret. Meanwhile, the US State Department was busy issuing a cascade of non-statements. QUESTION: — said that the French Government had, in fact, revoked permission for President Morales’ plane to go, but he said that it was a technical error based on a ()misunderstanding. Do you and the United States have any idea what that technical error – that technical reason that was based on a misunderstanding or an incorrect assumption might have been? So, Bolivia knew of US involvement. Other countries knew of US involvement. A senior legislator claims that the act was designed to send a message of the position of the US government. But the US government formally claims to have no idea how this action happened. The only possible target for these denials is the US public. We are meant to pretend that our government was not involved in this international incident, that such involvement is a product of Evo Morales’ paranoia rather than an obvious and widely discussed pattern of US behavior. (And so, the New York Times will continue to publish sentences full of hypotheticals like this one: “Latin American leaders condemn refusal to let plane carrying Bolivia’s Pres Evo Morales fly over European nations because of what Bolivian officials say were suspicions that Edward J Snowden was on board.”) Given the standards of American journalism, we—and we alone—will have to wait for an actual leaked document from the State Department before our press takes seriously what the rest of the world confidently knows. Like these two examples, many state secrets are not about protecting complex operations or securing the lives of operatives. They are about keeping the public out of decisionmaking. They are about reducing accountability. They are about subverting democracy. Alongside making a mockery of such basic principles, they make dangerous, unpopular, and/or immoral behavior by government officials easier. Fortunately, part of that dynamic is beginning to weaken. The publication of logs of the Iraq War and diplomatic cables by Wikileaks has raised the prospect of the US government being denied the prerogative of secret wars, secret foreign policies, secret decisions, and secret outcomes. The Snowden disclosures and the avalanche of additional investigative reporting that has followed in their wake have done the same for the surveillance state. (It’s worth noting that every single one of these disclosures have exposed wars, policies and outcomes, rather than the operational security that enables them to be carried out.) Snowden, Bradley Manning, Thomas Drake, and William Binney are all examples of government officials who allowed their conscience to override the classification of information. The national security apparatus is designed to defend itself against Cold War threats: agents who commit espionage in the service of a foreign power for ideological reasons, or for personal gain. It seems that it is not at all prepared to defend itself against espionage committed for personal, ethical reasons, done at one’s own detriment. It may not ever be possible to do so. On some level, this line of business requires that all those involved completely accept the utility and purpose of the mission, and accept that international relations are a zero-sum game. Otherwise, anyone could walk out of their office with a thumb drive and publish the contents online. What does the world with thousands of thumb drives look like? (Other than a half-dozen presidents of Obama’s generation ordering international manhunts to track them down.) In evaluating the impact, value, and morality of these disclosures, our focus should be on the incentives created by transparency on war, foreign policy, and surveillance. How do diplomats, warriors, and spies change their behavior when they know their deeds will be exposed? (Especially when those disclosures are more likely when the acts are morally objectionable.) There are grounds for hope that “opened governments” will be more cautious and less destructive because they have more reason to fear public awareness of their actions. * Ros-Lehtinen is former chair and a continuing member of House Committee on Foreign Affairs, and thereby has clearance to be briefed on this kind of diplomatic activity. The following is my translation of the official statement by the UNASUR leaders made yesterday, in response to the diversion of Bolivian President Evo Morales’s airplane during his return from Moscow to La Paz, Bolivia. The flagrant violation of International Treaties that govern peaceful coexistence, solidarity, and cooperation among states, which constitutes an extraordinary, unfriendly, and hostile act, forming an illicit act that affects the freedom of transit and movement of of a Head of State and his official delegation. The abuse and neocolonial practices that still subsist on our planet in the twenty-first century. The absence of transparency with regard to the political decisions that impeding the aerial transit of the Bolivian presidential plane and of the country’s president. The offense suffered by President Evo Morales, which did not only offend the Bolivian people, but rather all of our nations. The illegal practices of espionage that put at risk the rights of citizens and the friendly coexistence between nations. Given these denunciations, we are convinced that the process of building a Greater Homeland [of South America], to which we are committed, should be consolidated based on upon the full respect for the sovereignty and independence of our peoples, with the interference of the world’s hegemonic centers, overcoming the old practices through which some sought to impose [a system of] first-class and second-class nations. 1. Declare that the unacceptable restriction of the liberty of President Evo Morales Ayma, turning him into a virtual hostage, constitutes a violation of the rights not just of the Bolivian people, but rather of all the countries and peoples of Latin America, and sets a dangerous precedent with regard to effective international law. 2. Reject these actions that clearly violate the basic norms and principles of international law, such as the inviolability of Heads of State. 3. Demand that the governments of France, Portugal, Italy, and Spain explain the basis for the decision to deny overflight acess to their airspace to the presidential aircraft of the Plurinational State of Bolivia. 4. Equally demand that the governments of France, Portugal, Italy, and Spain offer public apologies in relation to the grave matters that have occurred. 5. Stand behind the Denunciation presented by the Plurinational State of Bolivia before the Office of the UN High Commissioner for Human Rights for the grave violation of human rights and concrete danger to life to which President Evo Morales Ayma was subjected. Equally, we back the right of the Plurinational State of Bolivia to carry out all actions it considers necessary before competent Tribunals and [other] instances [of law]. 6. Agree to form a Follow-Up Committee, assigning our Chancellors [i.e., Foreign Ministers] the task of carrying out the necessary actions to clarify the facts. Finally, in the spirit of the principles established in the Founding Treaty of UNASUR [the Union of South American Nations], we exhort the full body of Chiefs of State of the Union to stand by this Declaration. Equally, we call on the United Nations, and regional organizations that have not yet done so, to speak out on this unjustifiable and arbitrary act.